Our range of kick step stools is ideal for reaching those out of reach places. 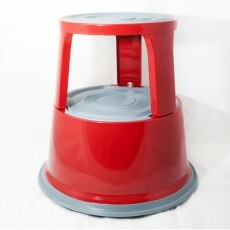 These stools also feature wheels so they are easy to transport and detract when they are stood on. Our range of professional clothes steamers offers a multitude of choices so that you can find something suitable for you and your business.